Super pleased to say we won our funding bid of £2500 with the CLIMB event. This money will be used to put safety fencing around our swing area and to put in some new plants and do some improvements in the sensory garden. . It was absolute honour to be there and to meet all the other fantastic organisations doing so much vital work in the community and to get the chance to present who we are and what we do. . And to also make some contacts . I would like to thank everyone who took the time to vote for us. Have been informed that we had an amazing amount of votes . Buzzing !! Good evening all. 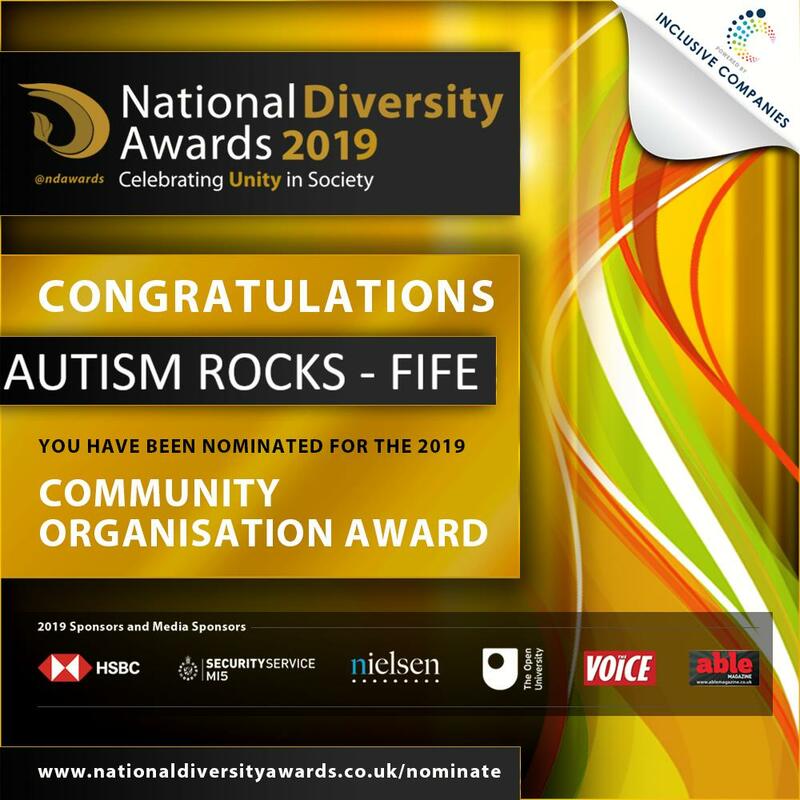 I have the pleasure of letting you all know that we have again this year, been nominated into the National Diversity Awards for community organisation for disability. So I would like to ask you all if you would consider nominating us. As well as leaving a wee submission about us. This year the votes really count as does what is said about our organisation in the submission.please share on your own page and gain us some more nominations. Many thanks in advance for your support. The link above will take you to the nomination page . Ballot boxes are being placed around Buckhaven for a week from Monday 18th February (Comm Centre, Library, College etc). 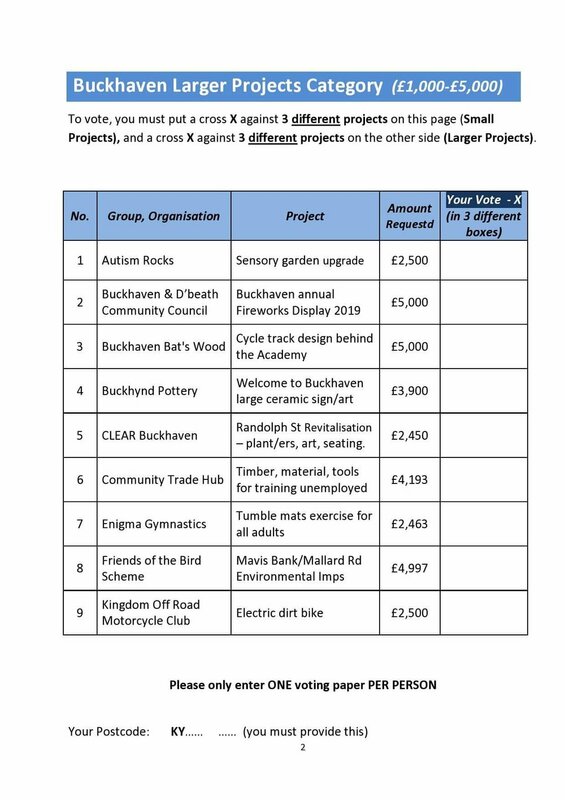 Votes (one per person) can be be made there or at the final public event on Sat 2nd March at Buckhaven Community Centre (11-2). It would amazing if you could show your support when in the area , by voting for us as one of the projects. We are looking to do some much needed maintenance and improvement to our sensory garden . Your support would be very much appreciated .